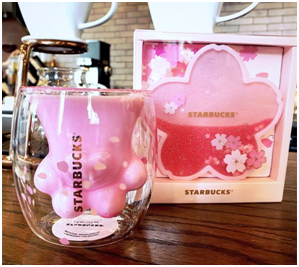 Why Starbucks Cat Paw Cup is So Popular? Starbucks recently re-entered the public eyes with a popular cat claw cup. This cat paw cup is a transparent glass with double-layer and hollow design. After pouring the milk into the cup, the inner part forms a lovely cat claw shape. It is popular by the majority of users; it also hot all over the network. Therefore, the price of the cat paw cup has already exceeded the original price many times. Cat paw cups have become a hot tendency on social media platforms, with so many people love cats. However, the bad news is that cat paw cups are in short supply. Feeling blue after hearing this? Here is the good news. For those who aren’t fast enough to get a cat paw cup, you can have lovely coaster as alternative. For those who are lucky enough to have a cat paw cups. Definitely you also need wonderful cup coaster to match it . Here is a cherry blossom coaster. 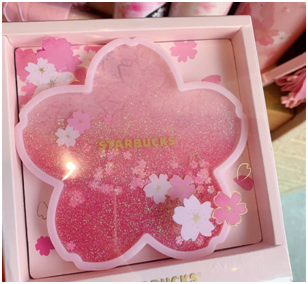 After the cat claw cup became popular, another item of Starbucks also became popular, which was the cherry blossom coaster produced at the same time. 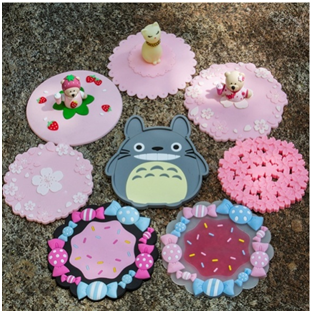 The cherry blossom coaster is made of softy PVC rubber which is in the shape of flower petal, with gold pink quicksand inside. When shaking this PVC coaster, the quicksand will flow with it, shining with gold and pink color. No wonder it is loved by everyone. In addition to the thoughtful design, Cherry blossom coaster is much cheaper than cat paw cap as well. 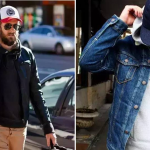 Many merchants and businesses also want to follow the popularity of Starbucks caps and coasters to capture customers’ hearts and launch their own unique products. Look at these custom coasters in cartoon style. There are as lovely as the cherry blossom coasters. Are you intrigued by them? Lovely coasters are indeed likeable, but people who are more down-to-earth might say NO to these coasters. Many people buy this kind of beautiful coaster in order to collect it. Because Starbucks cups and coaster are very characteristic, some people collect these cups as a hobby, just like collecting stamps, collecting models and so on. However, those who are not cup lover or collectors. This exquisite coaster and may not be very practical for them .After all, they can also drink water without coaster. For these people who are more down to earth, they may want something beautiful and useful. The star-shaped PVC keychains with glitters will be a perfect option for these people. Many companies offer customization service for your custom PVC keychains, meaning you can have whatever designs you want. Sounds wonderful, isn’t it? More wonderful is that there are even companies like GS-JJ which provide products with no minimum quantity requirement. 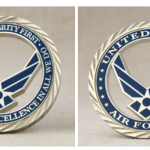 In fact, their no minimum service not only applied to custom patches, you can also order PVC patches no minimum if you need.